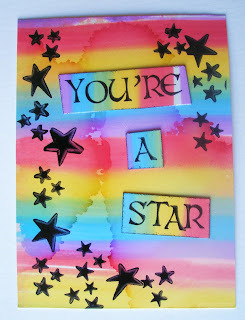 Here's a quick ATC for Hels Sunday Stamper Challenge with the theme of Stars and/or Stripes. It's a rainbow of alcohol inks for the background, swiped across glossy card and then some blending solution squirted on. I then overstamped with some Hero Arts stars and PSX Celtic Alphabet. I've never had a go at Tim's tartan technique and obviously couldn't for this challenge as the theme is Stars and Stripes not Stars and Tartan!! However while I have the alcohol inks out I think I might have a play. Lovely, bright and colourful, Elaine! 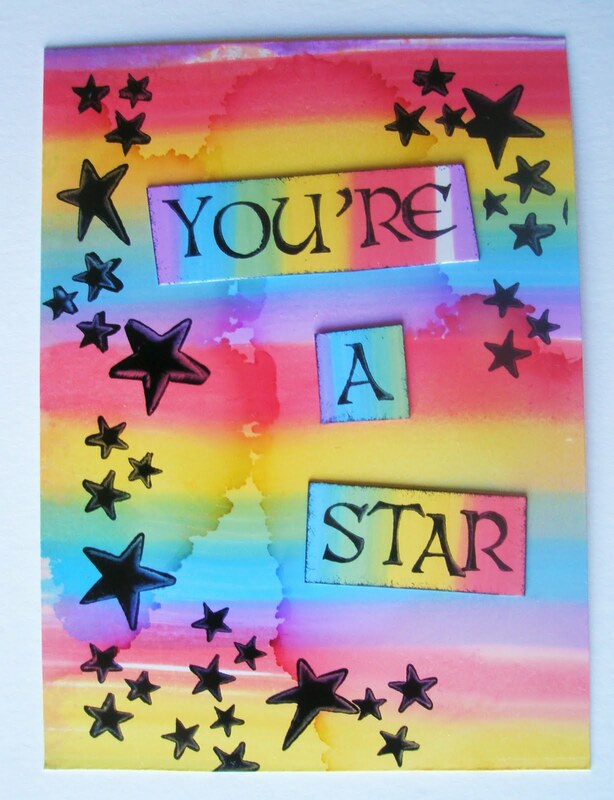 Love the rainbow effect background Elaine.